Summer is here and the market is flooded with hordes of recent college graduates who are eager to join the workforce of big and small companies. 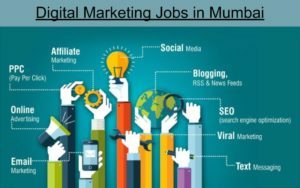 What are the Latest PPC Jobs in Mumbai that you can apply for? 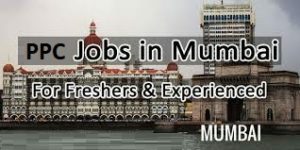 As we all know, nowadays searching for a new Job in Mumbai or any other city in the increasingly competitive market can be a daunting task, especially for those who have limited work experience. I remember, back in the days when I was applying for jobs, only one question I had in mind – How will I gain experience/knowledge if no one is willing to give me an opportunity? But now I am a PPC Professional. I am sharing this information with you from my personal knowledge and experience which I’ve gained in these years. Let’s understand what is PPC? PPC means Pay-per-click (PPC) industry, in the last ten years, there is an increasing demand for PPC. PPC is a part of Digital Marketing, you can also get Digital Marketing Jobs. Ad Agencies earns the highest revenue through PPC, which is a form of advertising but to earn the highest revenue you need an expert and a skilled specialist to complete the tasks. The motive of this article is to encourage people to join the PPC industry and I will also post some latest jobs openings which are there in the market. Nowadays, one of the Major forms of Digital Marketing is PPC which has a huge impact on marketing as a whole. For PPC, an advertiser has to pay a cost efficient CPC (cost-per-click) once the user clicks on the ad and the advertiser has the ability to target ads to the right audience at the right time. Why we should consider PPC as a Career? We are living in the 21st century, which means that the Internet is our bread and butter. Traditional Marketing like printing media, banners, ads, cold calling, and field work is now obsolete and does not generate expected leads. Internet marketing is much easier, cheaper and less time consuming, all we have to do choose the right ad and target the right audience. A person who has the right combination of creative ads and analytical skills (PPC). There is good news for aspiring PPC marketers we don’t need to have a lengthy CV to make an impression on hiring managers. Understanding client requirements & goals including analysis of website business. Keywords/Placements Research, Generation & Analysis. Setting up PPC (paid search) accounts & campaigns including developing, organizing, monitoring and optimization of campaigns on Search & Display networks. Responsible for planning & establishing budgetary control of PPC campaigns. Review/provide analysis on PPC landing pages to increase Ad copy relevancy. Bid Management/Optimization Manage CPC bids & hence maintain ad position and cost. Measure performance of overall account; create reports to drive in-depth key analysis on the performance of keywords, ad copy, landing pages & conversion rates etc. Tools: Google Adwords Editor, Keyword Tool, Traffic Estimator, Ad-preview tool, Placement Tool, Keywords Typo Generator & Google Web Trends. Type- 2-3 yrs of relevant experience and proven track record on Google Adwords, Facebook Ads and other platforms. Should be familiar with Digital/Online Marketing insight and tools. Search Engine Marketing (cost per click/cpc), Display Media, Social Networks and leveraging Analytics. The incumbent is responsible to ensure production plans are created to capture complete demand, meet service commitments and to ensure all orders are fulfilled on time. The position is responsible for supply planning & budgets and ensuring adherence to set plans. The responsibilities include capacity (including moulds) planning, inventory management and ensuring adherence to the production plan. JD – Should have exp in keyword research , ad copy creation , campaign set-up , campaign analysis , bid management , ROI management , and Conversion management. Exp in creating ads on Facebook is a plus point. Experience: 1-2 Years with Hands-on experience on setting and executing Campaigns on Google and Facebook.